PS4 is the modern cut of gaming. Well, it is still alive even in the proliferation of multiple gaming platforms. Albeit the general notion, PS4 is still basking in the limelight, too. As a proof of this, the said console is supporting nine of the best games in the industry today. Do you want to check them out? Then you should read on! FlatOut 4 is a game that has intoxication of total insanity! If you are a racing aficionado, then this game might not surely suit you. But if you are those who don’t mind the involvement of chaos, then you should have this game! ve the Psychonauts In the Rhombus Of Ruin. This game will drag you down to the supernatural and ambiguous realm of Psychonauts. If you are familiar with this franchise, then you will certainly love the fact that Raz is coming back to the scene. This time, he is teaming up with some of the most elite psychic agents in the world! This PSVR game is second to none! One of the newest franchise in the PS4 world is the Toukiden 2. Specifically, it is an action game that involves a lot of destruction and battles. It has various skirmish system that takes place in a vast world. Of course, the game has full of adrenaline. Quick paced combats and highly imaginative strategy building are among the signatures of Toukiden 2. In short, it goes beyond to the traditional monster hunting schemes. The latest sequel for the Andromeda Series takes place 600 years after the distraught on Earth. Humanity is now searching for a new home, but things are not as dreamy as Pathfinder hopes to be. Many reviews suggest that Mass Effect: Andromeda is a game worth playing (and buying). According to multiple users from different gamings forums, this game is the best creation of BioWare. They specified that the technical limits and concepts of the game were highly considered. As a result, Andromeda became an enjoyable game, even if you play it several times! Nioh is not a stranger to us. Before 2017, rumors were already spreading about the release of this spine-tingling game. Nioh introduces many games to the bloody era of Japan’s Sengoku. It has a good catch with history, which makes it very intriguing to play. But the biggest selling point of Nioh is its gameplay. We can only give one description for this game: it is brutally challenging! Well, if you are up to test your skills, then you better try this masterpiece! Nier: Automata is the bomb! Just released this March, Nier Automata became the game to beat. The Nier franchise has been running for years already. But Automata became the cream of the crop for many dedicated PS4 gamers. From the storyline down to character design, this game is absolutely 10/10. Moreover, you will love hooking on this game as composer Keiichi Okabe imbibe it with multiple heart moving soundtracks! 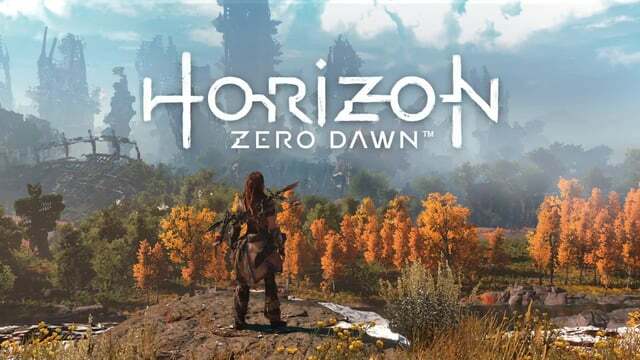 Talking about exclusives… Horizon: Zero Dawn is a game dedicated only for PS4. It is an opus of the Guerilla Games, which is an additional good news. After all, it was the latter that created one of the PS4s most legendary franchises–the Killzone. Zero Dawn features Aloy, a proficient hunter, who explores an enigmatic world permeated by mechanical creatures. This game invokes a set of emotional adventures, which includes the mixture of ancient societies and advanced technology. It is a game that many PS4 lovers must have. The gameplay scheme of HZD is so great that you will just wish that it won’t end! Overall, these PS4 games we featured are absolutely worth playing. They won’t leave any bitter taste nor regrets. Instead, they can invoke your imagination and creativity as well. PS4 has been serving the “child in us” for many years already. Therefore, we recommend trying any of these games. We are pretty damn confident that they can leave you amused and virtually enthralled!